Did you know the battle to retain private health insurance rebates for Natural Medicine is not over yet? Your Health Your Choice, Australia’s largest consumer campaign to protect people’s choice in complementary healthcare, has written a formal request to Australia’s Health Minister, Greg Hunt, to exercise his power to amend the Private Health Insurance (Health Insurance Business) Rules 2018, to allow private health insurers to offer rebates for Natural Therapies. The letter warns against the drastic cuts and proposed changes, outlining the risks involved in moving forward with the new private health insurance rules, which would restrict healthcare choices by making them less affordable, making it difficult to conduct research into Natural Therapies and impacting the viability of multiple Australian small businesses. If you would like a copy of this letter to send to the Minister for Health, please email me directly on info@lukeclarke.com.au Since the Your Health Your Choice campaign put out the call mid-last week, well over 6,000 people have responded with individualised emails, and this is growing daily. Help protect the credibility of our profession – make the choice to take action with one last effort to get the message out there. 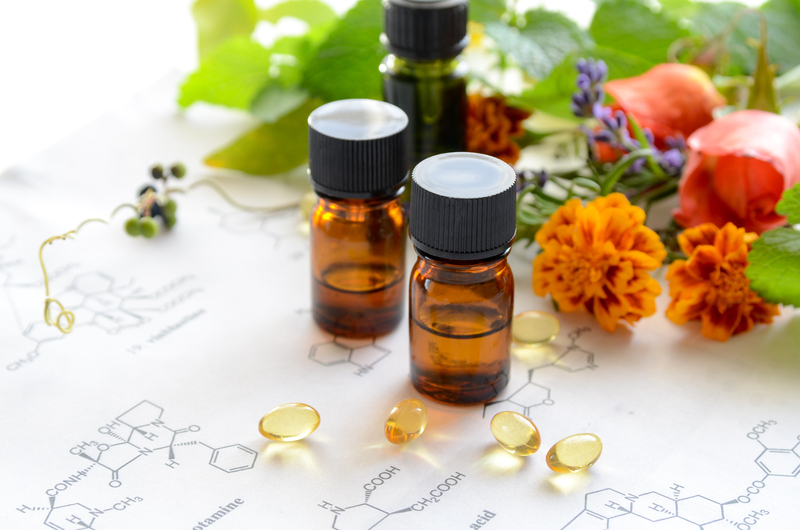 From 1st of April 2019, the Australian Government will be removing private health insurance subsidies from a range of natural therapies, including Naturopathy and Herbalism. This surprising decision was made in response to a review, conducted by the National Health and Medical Research Clinic (NHMRC) in 2015 assessing the efficacy of 17 natural therapies, ranging from yoga to Naturopathy. The former Commonwealth Chief Medical Officer stated “there was no clear evidence” behind these therapies – a great leap, when you consider the limited information included in the review. The report has since undergone further scrutiny, with critics claiming that it did not follow recognised guidelines or standards in reviewing evidence, lacked transparency and it withheld critical information. The findings conducted by the NHMRC are now under investigation by the Commonwealth Ombudsman. The government says that while consumers can still choose to access these services, they will no longer be able to claim benefits from their insurer. Understandably, this has upset a large number of the Australian public, who proactively utilise natural therapies. It has also caused confusion as to how this decision has been passed. Marla Cunningham, the Head of Clinical Research and Innovation at Metagenics, recently wrote an informative article titled “How Did the Australian Government Conclude ‘There’s No Evidence for Naturopathy’?” In this article, Marla refers to a number of reviews and scientific evidence on Natural Medicine that raise question over whether the government has made the right decision especially in the face of a burgeoning economic health care crisis. The full article can be read here. Did They Review the RIGHT Evidence? Is the Government Missing the Point? A comprehensive review which looked at the nature of complementary medicine usage within Australia, found it to be commonly utilised by patients with these diseases,4 a trend that is supported by a wealth of evidence on the effectiveness of natural medicines for these conditions. For example, in the priority area of mental health, highlights high quality (scientifically rigorous) evidence for several herbs in the treatment of anxiety (including passionflower) and depressive disorders (including saffron). These ingredients, along with many others, are common components of Naturopathic treatment and due to their accepted efficacy are considered to be medicine. There are countless studies and trials demonstrating many more ingredients within the domain of Naturopathic practice, should become staples in everyday healthcare. It is important to keep the naturopathic industry healthy and thriving so it can continue to feed optimal solutions to the medical community. 42% of Complementary Medicine users take these medicines to address national priority health conditions. Your Health is Your Business. As Benjamin Franklin said, “an ounce of prevention is worth a pound of cure”. Naturopaths shift the emphasis from ‘managing’ disease and symptoms to building and maintaining the best possible health. The principle objective of Natural Medicine is prevention, through educating and empowering people to attain better health through adopting a more natural lifestyle, eating a healthy diet, exercising, regulating sleep, and regenerating themselves physically, emotionally and spiritually. Rather than providing a band-aid that covers up symptoms, the goal is to identify and treat the cause with non-invasive, safe and effective natural therapies. All of these therapies of which have an abundance of research behind them, even if the entire practice of naturopathy as a ‘health service’ has yet to be extensively studied. When it comes to your health, your freedom of choice should never be confined as to what the Government stipulates as ‘good for us’. Despite what the Australian Government has concluded, embracing a health-enhanced lifestyle and working alongside a natural healthcare professional, can provide those with presenting health concerns with a greater quality of life. A 2017 study of 252 Australian individuals aimed to assess patients perceptions of clinical care in complementary medicine. It concluded that complementary medicine practice is characterised by a patient-centred, empathic and empowering approach – with 99.2% of patients claiming they felt seen and heard as a unique individual by their complementary medicine practitioner. As a result of education initiatives such as the How Dare They Campaign, saw at least 5315 letters be sent to members of parliament to resist the change, and reached over 780,000 people on social. I Support Natural Medicine and I Vote had 1700 shares and 100,000 views on Facebook. The Australian Public is invested in natural medicine practitioners and the therapies they offer. 4 Reid R, Steel A, Wardle J, Trubody A, Adams J. Complementary medicine use by the Australian population: a critical mixed studies systematic review of utilisation, perceptions and factors associated with use. BMC Complementary and Alternative Medicine. 2016 Dec;16(1):176. 5 Shanahan C, Lorimier R. Targeted use of complementary medicines: potential health outcomes and cost savings in Australia. Frost & Sullivan (Australia) Pty. Ltd., Sydney. 2014 Oct;116. People with low muscle strength don’t typically live as long as their stronger peers, according to a new study. After adjusting for sociodemographic factors, chronic health conditions, and smoking history, researchers found that people with low muscle strength are 50 percent more likely to die earlier. …muscle strength may be an even more important predictor of overall health and longevity than muscle mass. “Maintaining muscle strength throughout life—and especially in later life—is extremely important for longevity and aging independently,” says lead researcher Kate Duchowny, who recently completed her doctorate in epidemiology at the University of Michigan School of Public Health. A growing body of research has indicated that muscle strength may be an even more important predictor of overall health and longevity than muscle mass. Further, hand grip strength specifically has been found to be inversely related to mobility limitations and disability. However, despite being a relatively simple and cost-effective test, grip strength measurement is not currently part of most routine physicals, Duchowny says. “This study further highlights the importance of integrating grip strength measurements into routine care—not just for older adults but even in midlife,” says Duchowny, who is now a postdoctoral scholar fellow at the University of California, San Francisco. 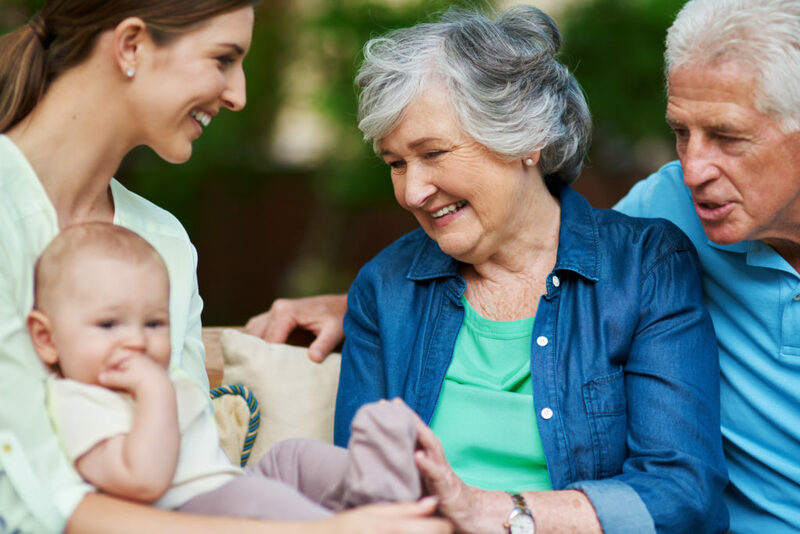 For the study, which appears in the Journal of Gerontology: Medical Sciences, researchers analyzed data of a nationally representative sample of 8,326 men and women ages 65 and older who are part of the University of Michigan’s Health and Retirement Study. 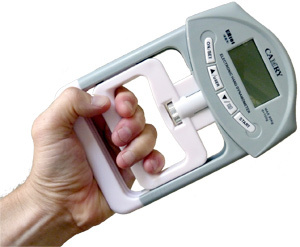 Grip strength can be measured using a device called a dynamometer, which a patient squeezes to measure their strength in kilograms. Researchers used “cut-points,” or thresholds, to define levels of strength. For example, researchers identified muscle weakness as having a hand grip strength less than 39 kg for men and 22 kg for women. They derived those thresholds based on the nationally representative sample, something Duchowny says is unique to this study. Based on the data, 46 percent of the sample population was considered weak at baseline. By comparison, only about 10 to 13 percent were considered weak using other cut-points derived from less representative samples. Exposure to glyphosate—the world’s most widely used, broad-spectrum herbicide and the primary ingredient in the weed killer Roundup—increases the risk of some cancers by more than 40 percent, according to new research. Now, researchers have conducted an updated meta-analysis—a comprehensive review of existing literature—and focused on the most highly exposed groups in each study. They found that the link between glyphosate and non-Hodgkin lymphoma is stronger than previously reported. By examining epidemiologic studies published between 2001 and 2018, the team determined that exposure to glyphosate may increase the risk of non-Hodgkin lymphoma by as much as 41 percent. The authors focused their review on epidemiological research in humans but also considered the evidence from laboratory animals. “This research provides the most up-to-date analysis of glyphosate and its link with Non-Hodgkin Lymphoma, incorporating a 2018 study of more than 54,000 people who work as licensed pesticide applicators,” says coauthor Rachel Shaffer, a doctoral student in the environmental and occupational health sciences department. “These findings are aligned with a prior assessment from the International Agency for Research on Cancer, which classified glyphosate as a ‘probable human carcinogen’ in 2015,” Shaffer says. The agricultural industry started using glyphosate in 1974. Its use soared, particularly since the mid-2000s when the practice of “green burndown” began, in which glyphosate-based herbicides are applied to crops shortly before harvest. As a consequence, crops now are likely to have higher residues of glyphosate. Their findings appear in the journal Mutation Research/Reviews in Mutation Research. Additional coauthors are from the University of California, Berkeley and the Icahn School of Medicine at Mount Sinai in New York. The National Institutes of Environmental Health Sciences and the University of Washington Retirement Association Aging Fellowship funded the research. 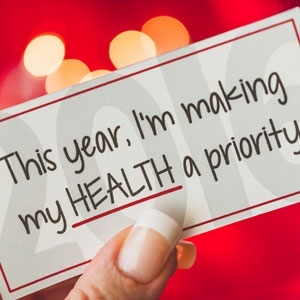 In order to keep your resolutions in 2019, consider these tips from Tim Bono, author of When Likes Aren’t Enough: A Crash Course in the Science of Happiness (Grand Central Life & Style, 2018) and lecturer in psychology at Washington University in St. Louis. Find your motivation: Identify an important reason why you are resolving to change something in your life (e.g., “I’m doing it for my kids” or “This is to improve my overall health”). Research shows that reminding yourself of how your daily behaviors fit into big-picture goals will keep you motivated to stay on track. Identify the challenges: Acknowledge potential barriers that might get in the way of implementing your goals (you might get lazy, tired, forget, or be lured away by another temptation), and then identify contingency plans for how you will respond in those moments: “When I start getting distracted in the middle of a big work project, I’ll give myself a quick break and then remind myself how rewarding it will feel to be finished with it.” Better yet, select environments that are free from distractions altogether. If you know you’re always tempted to surf the web while completing work, take your laptop to a place where there’s no wifi and leave your phone behind. Make a routine: Set specific dates and times when you will incorporate the behavior—when you make a schedule for new behaviors you’d like to incorporate into your life, they require less psychological strength to implement. When you get in the habit of running every Tuesday and Thursday morning, the behavior becomes much easier to initiate because it simply becomes part of your routine, like brushing your teeth or taking the dog on a walk. Treat yourself: Make your goals measurable, break them up into smaller sub-goals, and then reward yourself each time you hit a particular milestone. If your goal is to lose 50 pounds in the new year, treat yourself to a movie or other fun outing for each five pounds you lose.